Commonly called a ‘mampara brick’ in South African building lingo, the cement stock brick is often selected as a cheaper building option for walls that will be plastered. 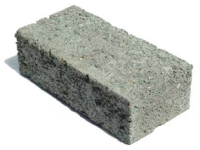 Stock bricks are manufactured to the standard brick size. Bricks at 7 MPa are suitable for a single storey building or boundary walls, and 10 MPa bricks for both single and double storey. Maxi Cement bricks are bigger than your normal clay brick and requires less labour when used in construction. The brick also requires less consumption of cement when building. 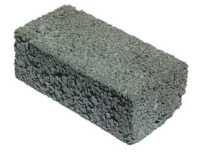 Choose a brick and click on Ask about this product to request a price on our cement bricks for sale.